Monterosso, the largest village of the Cinque Terre. If you want to know all about it, this is the right page! 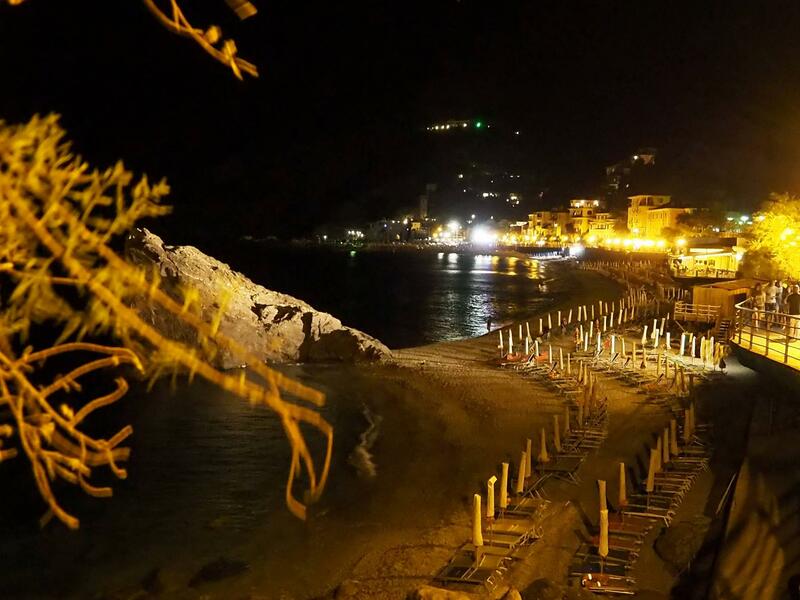 It is the one with a stunning stretch of beach right in town and Monterosso is also the favourite among young travellers, couples and families. It is the village with the longest and widest beaches of the 5 hamlets. Most of these beaches are well managed and equipped, providing umbrellas, sun chairs and showers services. Paese Vecchio, the most ancient part of the village, under the Cappuccini Friars promontory. Fegina is the “newest” area, mainly built starting from 1950’s on (with the exclusion of many old Villas such as Villa Montale), while Paese Vecchio is the most curious dating back to medieval times, such as those in Buranco area. The entire village is lively all time of the year. 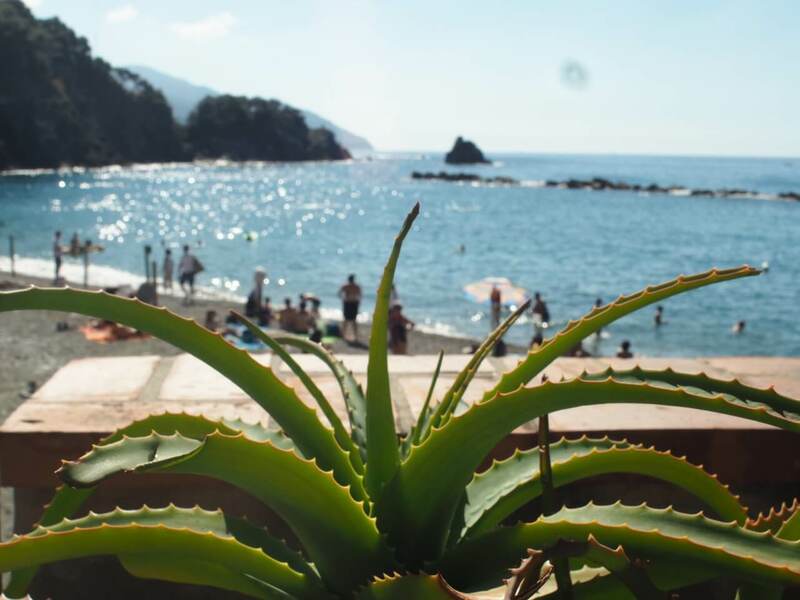 Spring, Summer and early Autumn months are of course the most sparkling and bubbling in Monterosso: fun and activities are always guaranteed! such as the Church of San Francesco, the Cappuccini Friars Monastery, the church od San Giovanni and the Oratorio della Confraternita dei Neri “Mortis et Orationis”. 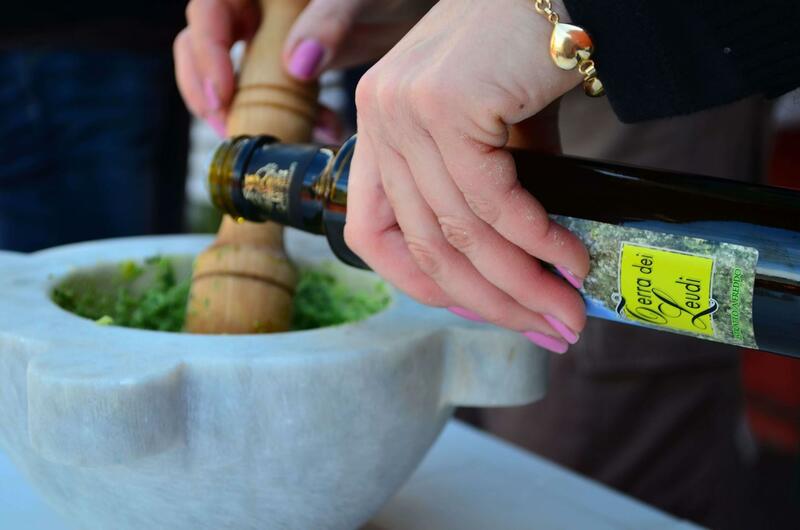 at your property to learn all the secrets of the Ligurian cousine. The village is plenty of pizzerias, pubs, cafeteria, take away bakery stores, trattorias and restaurants. If you are a gourmet and food lover the best in town is Miki, in Fegina area, close to the promenade and the train station. With its amazing menus and well assorted canteen represents a great experience not to be missed to taste authentic Italian Recipes wisely and uniquely performed. 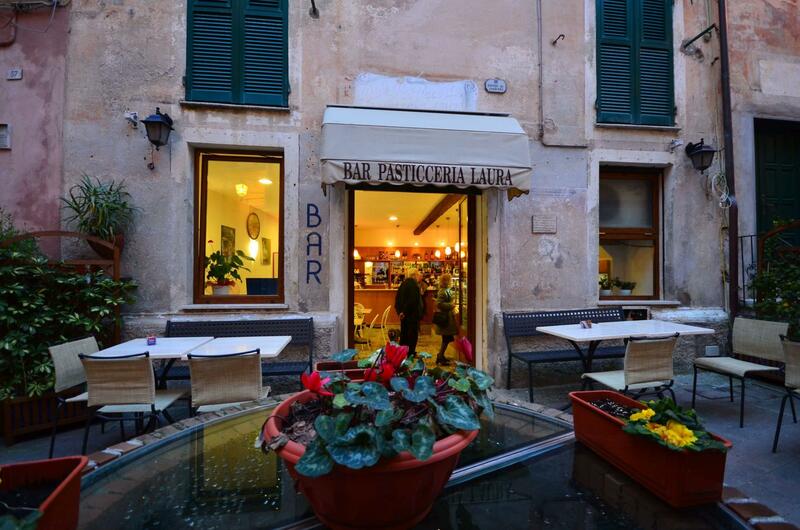 But pay a visit also to Trattoria Da Oscar and Pizzeria La Smorfia in the old village and do not miss, of course, anchovies and bruschettas with wine at Enoteca Internazionale. And, new entry of 2017, Torre Aurora. 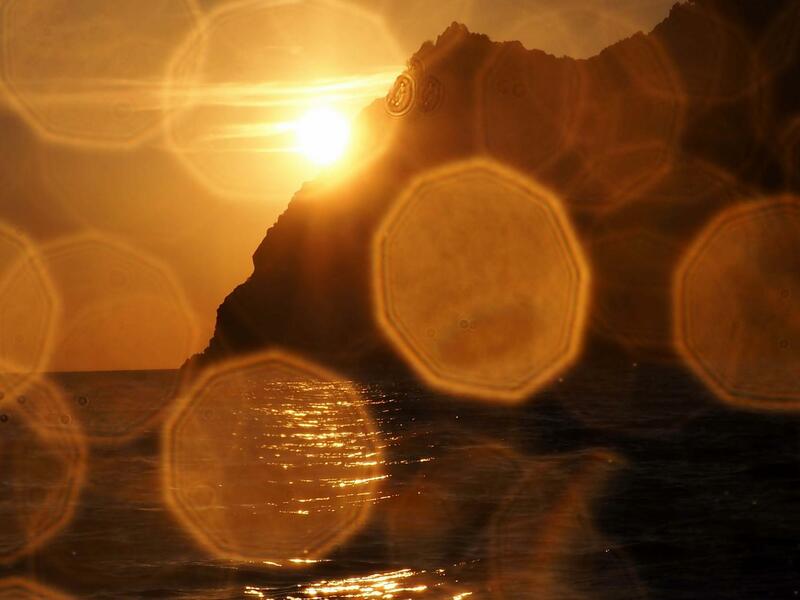 The place where you have to have to go at least once when in the Cinque Terre. In a unique setting it serves amazing cocktails and delicious food. 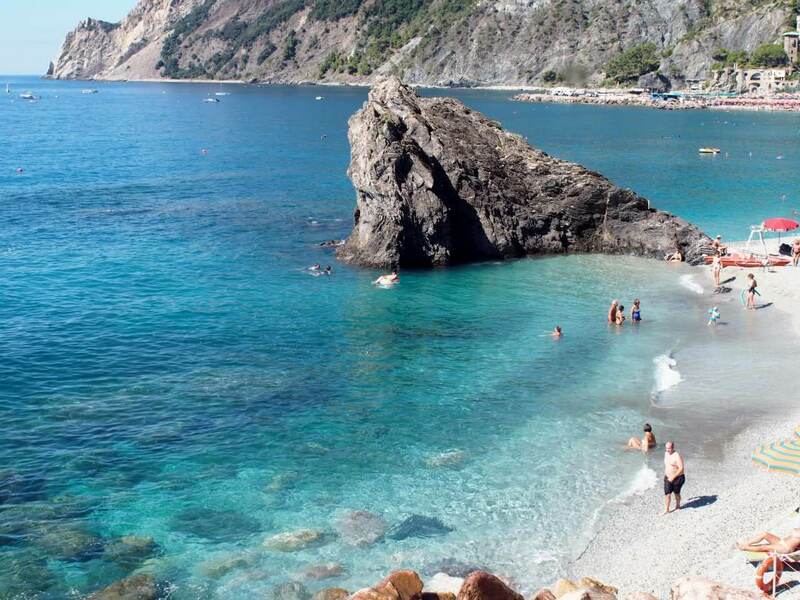 equipped beaches at Il Gigante, right under the giant concrete statue, symbol of Monterosso, or Bagni Eden, right in front of the train station, supermarkets both in Fegina and the Old village, laundrette in Fegina, taxi and porterage services, info point of the Cinque Terre National Park right at the train station. 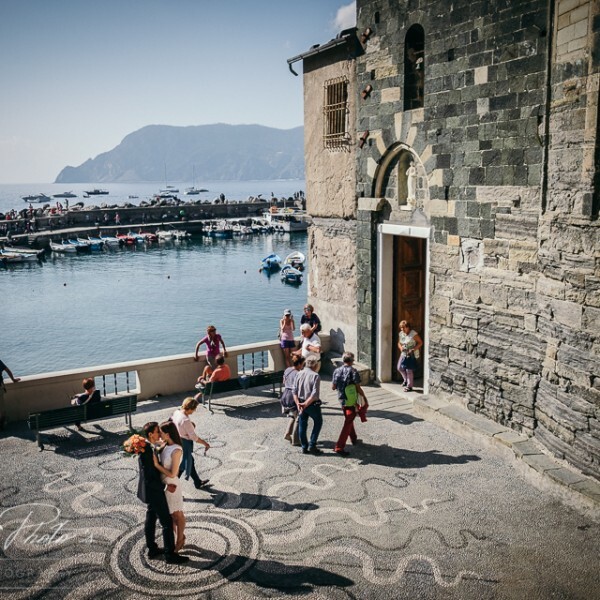 Destination wedding planning provided by Cinque Terre Riviera. This if you have to reach Villa Montale, La Pavona, La Casa del Gigante, La Torre dei Merli, Nautilus and Cyclope Cottage. If you are coming from Milan or Genoa, motorway A12 (Genova Livorno) exit at the sign CARRODANO (you are now 20 km from the property). 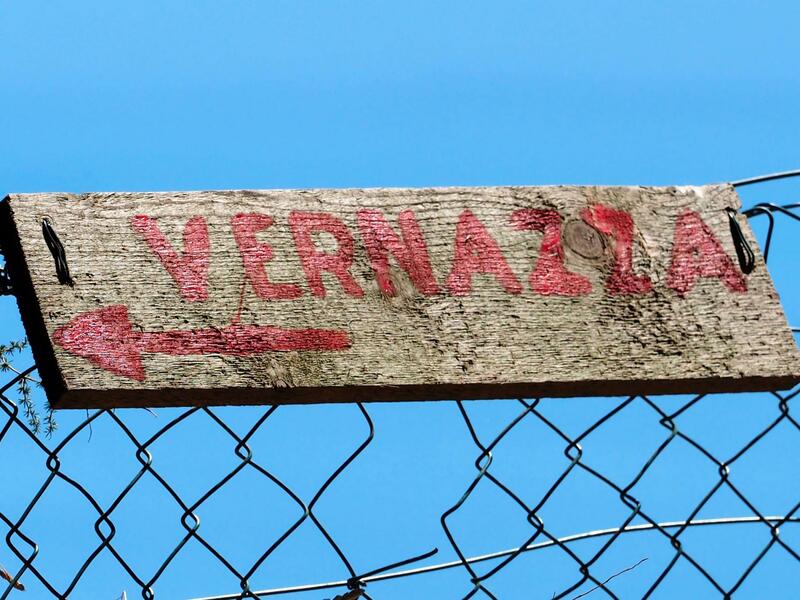 If you are coming from the South exit at the sign LA SPEZIA. Keep driving following CINQUE TERRE signs. Keep driving on the beautiful country road, if you come from Carrodano exit, or coastline, panoramic road if you come from La Spezia, until you find the sign FEGINA (it is placed by the diversion where you see Monterosso Alto Hotel on your right). 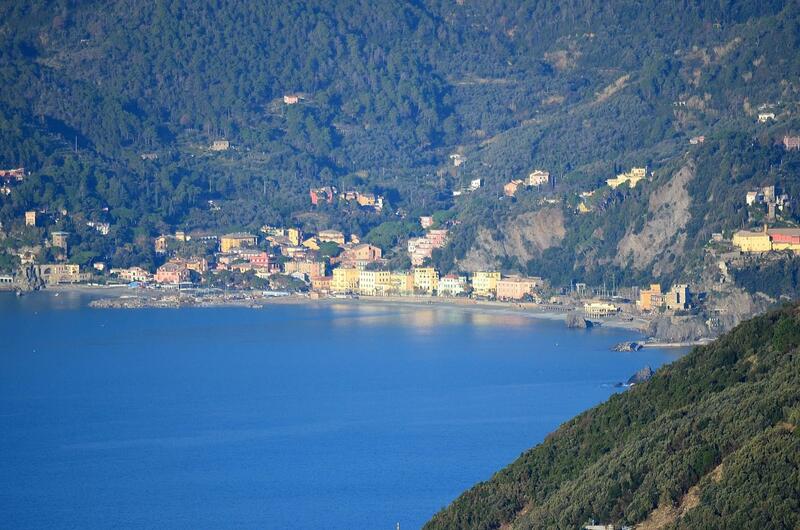 Follow the sign driving down the road in front of you, until you reach the sea front of Monterosso village. Turn right (dogleg!) to VIA FEGINA for 20 meters than make right again to VIA IV NOVEMBRE. Proceed few meters again and you are close to Sciachetra’ and Il Giardino di Carla, or proceed and on your left hand side take a little narrow path VIA PRIVATA MONTALE if you need to reach Villa Montale, few cuves up and you will see the property and the private access to the parking of Villa Montale . 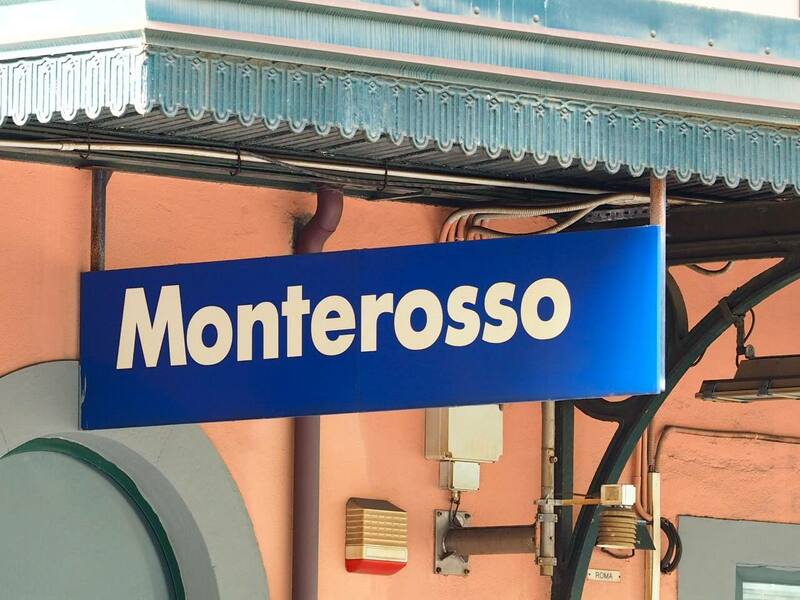 From Milan Malpensa or Linate take the shuttle to MILAN CENTRAL STATION usually every 2 hours there is a train to Monterosso (it takes 3 hours approx.). Get off in Monterosso. From the south get off in LA SPEZIA. 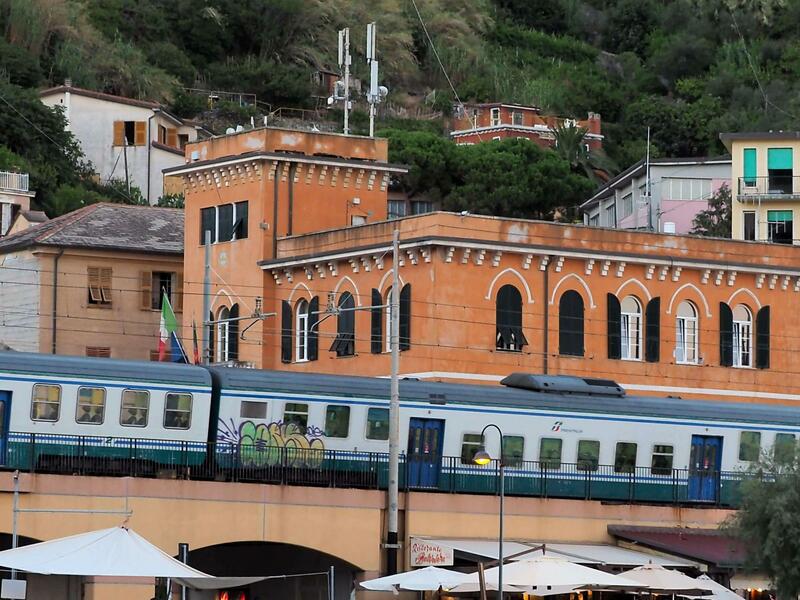 Then, both from Monterosso or La Spezia, take a local train to Vernazza. If you agreed with us a taxi service to the property, reach the waterfront and search for our driver. This if you need to reach Villa Tanca and Levre de Cuppi. If you are coming from Milan or Genoa, motorway A12 (Genova Livorno) exit at the sign CARRODANO (you are now 20 km from the property) . If you are coming from the north. Keep driving on the beautifull country road until the sign MONTEROSSO PAESE VECCHIO (at diversion where you see Monterosso Alto Hotel), follow the sign driving down the road ito your left until you reach the village Monterosso. Look for Car Parking signs and reach on foot your property. On foot (an easy walk) proceed to the waterfront and make left following the promenade for about 600 meters direction PAESE VECCHIO, proceed under the tunnel, reach the main square and follow property directions we have provided to you.